I did not have the privilege of meeting Nani Palkhivala, but every citizen of India has been affected in some way by his life’s work, and owes him a debt of gratitude. Born in 1920, Mr. Palkhivala was not only a jurist of the highest caliber, he was also a tireless champion of constitutional liberties, of human rights and individual freedom, and of economic freedom. Nani Palkhivala fought the Kesavananda Bharati case that established the principle that the Indian Parliament cannot alter the basic structure of the constitution. This, by itself, would be enough to enshrine him as a founder of modern India. But he did much more. He stood up to the Emergency, one of the few voices raised against authoritarianism, when the very character of India’s democracy was in question. And recognizing that political and economic freedom go hand in hand, in his regular post budget speech, he enthralled thousands with his views on the economic policies of the country. Mr. Palkhivala was a lonely voice against the socialism practiced in India then, arguing that it was a fraud – transferring wealth from the honest rich to the dishonest rich. Instead, he championed free enterprise. It bears remembering that he was chairman of TCS, one of the brightest stars of the Indian economy today. No wonder Rajaji once called him “God’s own gift to India”. Towards the end of his life, Nani Palkhivala soured on the Indian experience. In a speech in Australia, dejected by the leak of the IIT entrance exam papers, reflecting the weakening of yet another once-sacrosanct institution, he said, “I do not think India, in its entire history of 5000 years, has ever reached a lower level of degradation than it has reached now.” But in that speech, he also said that India always seemed to find a way of coming out of the morass. I will argue in my talk today that Palkhivala’s optimism about India eventually finding the way was probably more warranted than his pessimism. Yes, we have our weaknesses and our excesses, but our democracy is self-correcting, and even while some institutions weaken, others come to the fore. India’s is a dynamic society, ever changing, ever rejuvenating. Indeed, the possibilities for free enterprise in India today are probably better than ever before in its history. Let me first discuss these conditions, then I will add two more that I think important for free enterprise to be politically viable. a) Level playing field with easy entry and exit. Competition leads to efficient outcomes when anyone can enter, set up a firm, and compete. The best entity wins leading to economy wide efficiency. Free enterprise and competition combats prejudice and social biases. Government and regulators are needed to set the rules of the game and enforce behavior. Biased government/regulation distorts the playing field. Not that there should be no handicaps but not unequal handicaps. 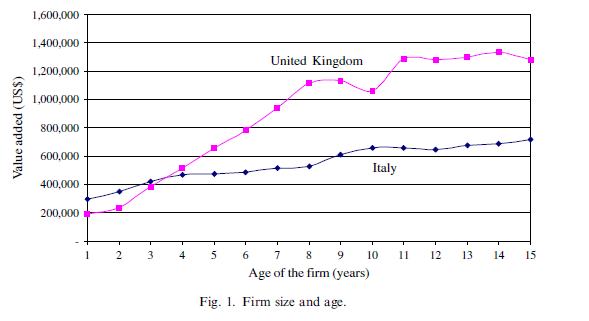 Work I did on entry regulation: Italian firms small. But low entry. Why? Work I did Rajan, Laeven and Klapper (2006). Italian firms need greater size to overcome fixed costs of entry but grow more slowly. Slower economic growth. License-Permit Raj: Remedy: Liberalization of the 1990s. Resources Raj: Privileged access to mines, spectrum, etc. Remedy: Auctions and transparency. Inspector Raj: Remedy: Start up India, reducing red tape, entry barriers. Continuing clean-up of laws gives hope, especially as states compete for simplifying regulations. Infrastructure plus logistics: Weighted against the small. Land: Weighted against the new. Finance: Weighted against new and untried. Changing with technology and new institutions. Still uneven playing field on distress. Resolving large firms very difficult: Workers as pawns. Laws applied more quickly to small firms, sometimes with a bias to creditors. Operational and speedy bankruptcy code will level the playing field. Issues of excessive market power and predation. Why greater concern now on issues of competition and entry? The jobs agenda: Job is the best form of inclusion. Private property protection needed to incentivize activity: I eat what I kill. Moderate and predictable taxes and estate duties – Government has delivered. Retrospective taxation: Clear government statement. However, base erosion and profit shifting – worldwide issue that large corporations need to answer – equal requirement of transparency on corporate side: Need for global agreements. Aam aadmi attaches no value to free enterprise if he cannot participate. Increasingly, enterprises of the future require employees to have decent education and health. Malnutrition curses an individual for life, as does poor early education. Effective delivery of social programs so that everyone has the ability to compete is absolutely necessary. Capitalism starts at age 21! Competition can be ruinous despite one’s best efforts. Should not be prohibitively costly for government. Recognize that if insurance is not explicit, it will be implicit in a democratic society. Safety net can also encourage people to take risks they would shy away from otherwise. India has come a long way in encouraging free enterprise. From tiny shops to large internet start-ups, the spirit of entrepreneurship is alive. Graduates increasingly want to start businesses or work for start-ups rather than go to an established consultancy or bank. Doing business is more reputable, as is getting rich. But a lot more work is needed to improve the environment so that everyone has a chance. Rather than looking for special dispensations, business has to push for improving the business environment for everyone. Glad business associations are increasingly doing this. As Palkhivala said, India always seems to find the way, perhaps not quickly and not linearly, but in due course.